Did you save any Kinder eggs for Easter? Remember I told you about the $2,500 contraband chocolate eggs at Christmas? 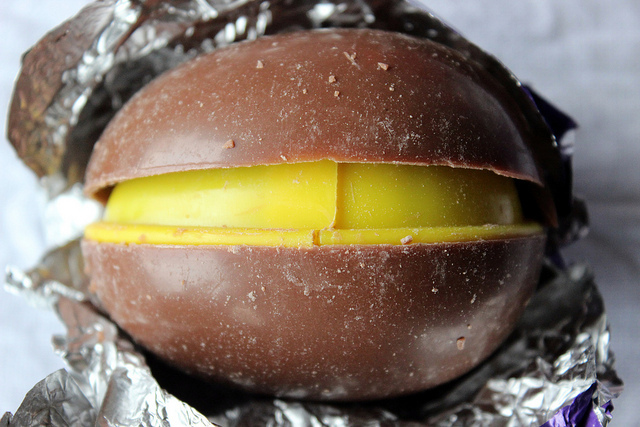 Well a new street legal chocolate surprise egg, with a toy inside, has just been released in this country. But is Choco Treasure all that it&apos;s cracked up to be? What makes these chocolate surprise eggs legal and the others not? Evidently, it starts with a thin yellow line. 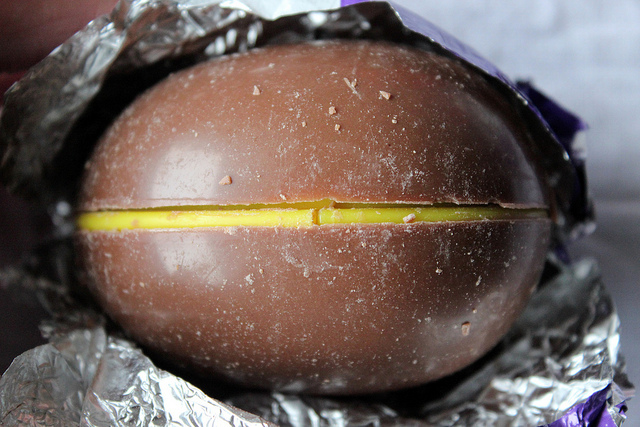 The chocolate is separated from pole to pole, with the yellow capsule containing the toy visible. Also, an important detail, this visible detail is a rounded ridge. But one of the problems with this safety separation is that the chocolate gaps. The chocolate itself is milk chocolate, using Barry Callebaut. 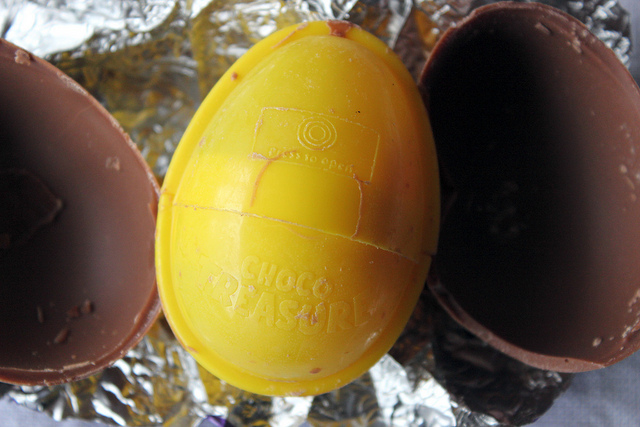 While Choco Treasure is based in New Jersey, the eggs are made in Turkey. 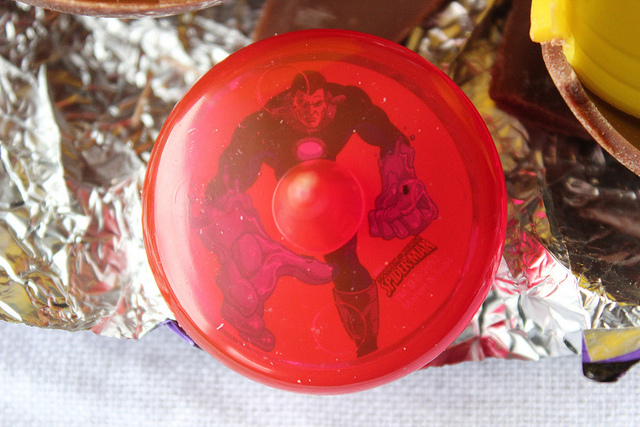 But the most noticeable difference is the difficulty in opening the toy capsule. You have to press the top half, front and back, firmly then pull off. If you enjoy opening child-resistant safety caps, then you&apos;ll really enjoy this. Once finally open, the toy inside is also bigger, tested as safe for children of all ages, especially that key under 3 year-old demographic. 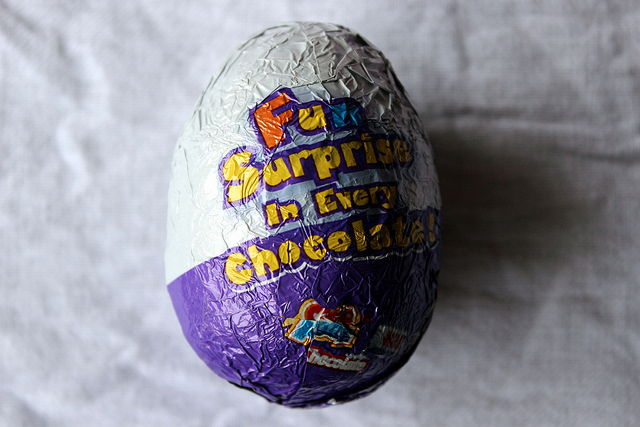 Are chocolate surprise eggs without the hint of danger just as sweet? Perhaps, but at least it&apos;s chocolate-y.